- The prophylaxis of postoperative infections due to sensitive anaerobic bacteria particularly species of Bacteroides and anaerobic Streptococci, during abdominal, gynaecological gastrointestinal or colorectal surgery which carries a high risk of occurrence of this type of infection. The solution may also be used in combination with an antibiotic active against aerobic bacteria. - The treatment of severe intraabdominal and gynaecological infections in which sensitive anaerobic bacteria particularly Bacteriodes and anaerobic Streptococci have been identified or are suspected to be the cause. Looking for ideal Metronidazole Intravenous Infusion 500m 100ml Manufacturer & supplier ? We have a wide selection at great prices to help you get creative. 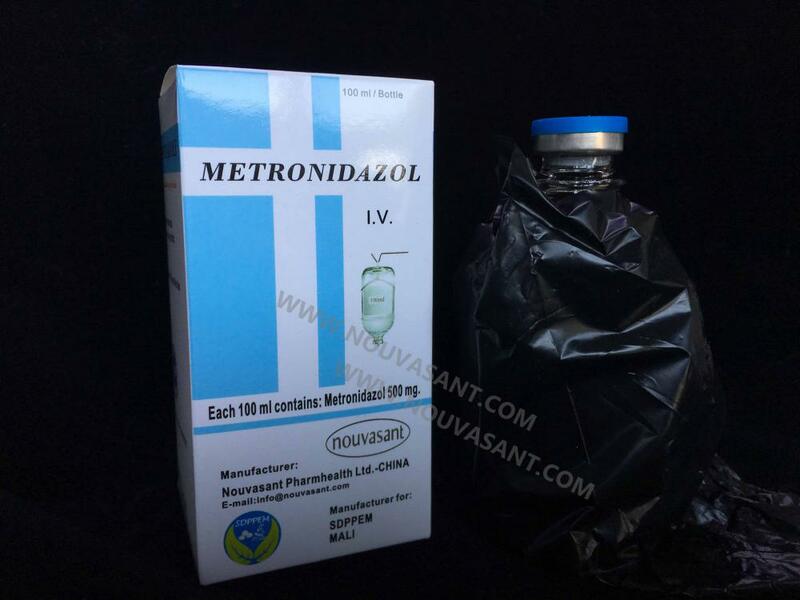 All the Metronidazole Intravenous Infusion are quality guaranteed. We are China Origin Factory of Metronidazole Injection. If you have any question, please feel free to contact us.